Investing.com – Australia stocks were higher after the close on Tuesday, as gains in the , and sectors led shares higher. At the close in Sydney, the gained 0.42%. The best performers of the session on the were Eclipx Group Ltd (AX:), which rose 9.04% or 0.075 points to trade at 0.905 at the close. Meanwhile, Cochlear Ltd (AX:) added 7.86% or 13.17 points to end at 180.76 and Nextdc Ltd (AX:) was up 5.06% or 0.300 points to 6.230 in late trade. The worst performers of the session were Charter Hall Group (AX:), which fell 2.57% or 0.260 points to trade at 9.870 at the close. Caltex Australia Ltd (AX:) declined 2.52% or 0.690 points to end at 26.660 and Bravura Solutions Ltd (AX:) was down 2.08% or 0.120 points to 5.650. 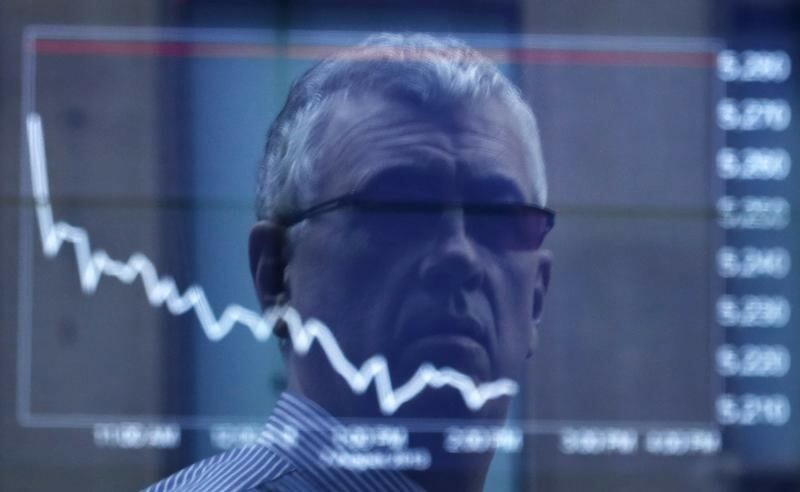 Rising stocks outnumbered declining ones on the Sydney Stock Exchange by 574 to 537 and 414 ended unchanged. The , which measures the implied volatility of S&P/ASX 200 options, was down 3.15% to 10.440 a new 6-months low. Gold Futures for June delivery was down 0.14% or 1.75 to $1289.55 a troy ounce. Elsewhere in commodities trading, Crude oil for delivery in May fell 0.21% or 0.13 to hit $63.27 a barrel, while the June Brent oil contract fell 0.38% or 0.27 to trade at $70.91 a barrel. AUD/USD was down 0.33% to 0.7149, while AUD/JPY fell 0.43% to 80.02. The US Dollar Index Futures was down 0.01% at 96.542.